Able Auto Transport is a nationwide auto shipping company based in the city of Kahoka, Missouri. The family-owned business was established in 1987, and, today, offers a range of car and truck shipping services within the United States, Hawaii and Alaska. The company also offers door-to-port shipping services for customers looking to ship their vehicles overseas. 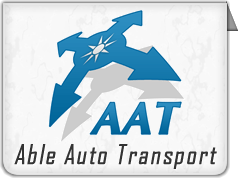 AAT works with a large network of independent carriers to help customers ship their cars around the country. The company requires all carriers to be fully licensed and bonded. Able Auto also requires all of its partners to carry extended insurance coverage at no extra charge to the customer. Auto transporters that partner with Able Auto are required to provide a certificate of insurance naming Able as an additional insured party. The additional coverage is designed to ensure that customers are fully protected against any damage to their vehicles from equipment failure or accidents. Able Auto Transport is one of the few companies in the car transportation business to offer a guaranteed delivery time for cars and trucks shipped within the United States. In most cases, the company requires about 10 days for a coast-to-coast shipment, and five days for an interstate move. The company pays $25 a day towards car rental costs if a customer’s car is not delivered within three weeks after pickup. Based on testimonials from customers who have offered an Able Auto Transport review on the company’s website, the payout is almost never needed because Able Auto delivers on schedule more than 99.9 percent of the time. In addition to shipping cars to Hawaii and Alaska, AAT also offers a service for customers looking to transport cars between the United States and Australia. Under this service, Able helps customers first transport their vehicles to California, and then ships it from there to Canberra, Sydney, Melbourne and other port cities in Australia. The company maintains a staff of specialists to help customers fill out customs documents and other papers that are required for shipping a car to Australia. Customers who want to check the company’s record can get a fairly detailed Able Auto Transport review at the Better Business Bureau’s website.